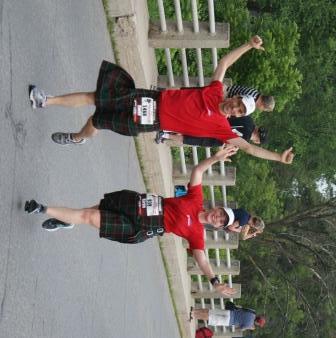 Running the Perth Kilt Run with my brother. Or rather, he ran it with me. I ran The Lanark Mutual – Perth’s World Record Kilt Run (known as the Perth Kilt Run for short) a few weeks ago (file this post under “Race reports: better late than never). It’s actually more like a one-day mini Scottish Festival than a race, and like a lot of people with some small amount of Scottish heritage, it brought out my Scottish pride – though not quite enough to participate in the haggis-hurling competition, which, despite what the name would suggest, has nothing to do with the boomerang effect of tasting* haggis. There was live music all afternoon, and the whole event was draped in ceremony – we were actually piped to the start line. 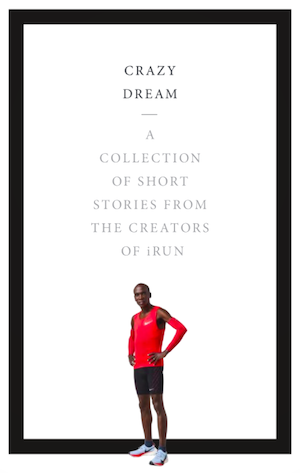 You didn’t have to be all boring and just run the race like me, either. You could join the Warrior Class, in which there were Warrior Stations throughout the race where they had to pull off and complete a task. I don’t know what they all were but there appeared to be one involving archery, as well as one involving a shot of scotch. Luckily the two did not occur at the same station. The race course itself was lovely, if a bit complicated. You see, Perth, Ontario is a lovely little town – and as someone who lives in a small town with similar Scottish heritage, I felt quite at home there. But being small meant that in order to cover 8K, the course had to be creatively designed – I think I counted over 20 turns. But with true small-town pride, I think the entire population came out to cheer. They had signs and noisemakers and some even put out their sprinklers (bless you!). There were also pipers randomly located throughout the course, and I think my favourite was the one who was playing the theme to Rocky. As for my race – well, let’s just say I had a lot of fun. It was hot, humid, and 6:30 pm, so I didn’t do well (or feel great), but really, upwards of 1,800 people running in kilts is pretty darned fun. And hey, the beer and shortbread after the race went down real nice. Slàinte mhòr agad! * The first – and last – time I tried haggis generated the following quote, with which I was taunted for years: Augh! It tastes like poop!……and socks! A runner for just over four years, Karen has already completed a marathon, two half marathons and a variety of 5k and 10k races. 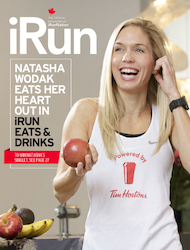 She describes her first marathon - the Scotiabank Toronto Waterfront Marathon last September - as "a nightmare." However, she met a very interesting person in the process - a man named Sydney who was running his 152nd marathon! Although the race didn't go as well as planned for Karen or Sydney, he showed her that no matter how experienced a runner you are, you can still have a bad day. "Does that mean we shouldn't bother to prepare, or maybe just shouldn't bother at all? Of course not!" says Karen. "In the end, it is what we make it." We like her optimism!